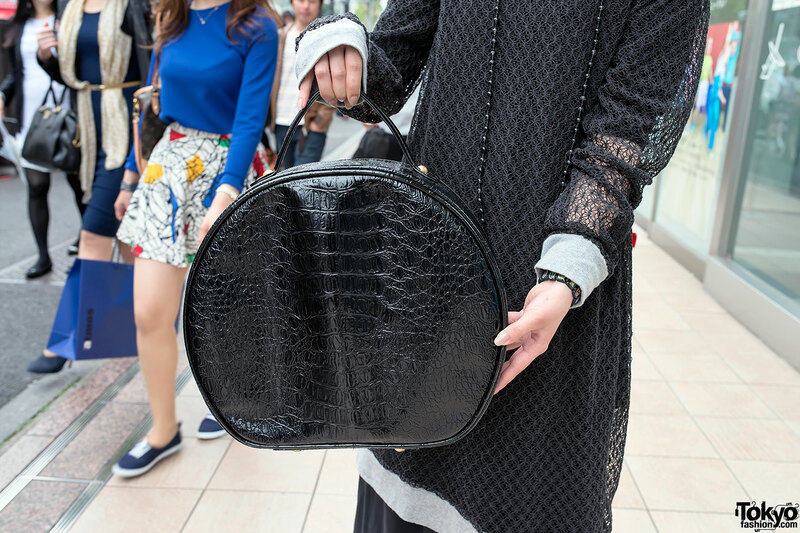 We met this stylish designer who calls herself P-P on Meiji Street in Harajuku. 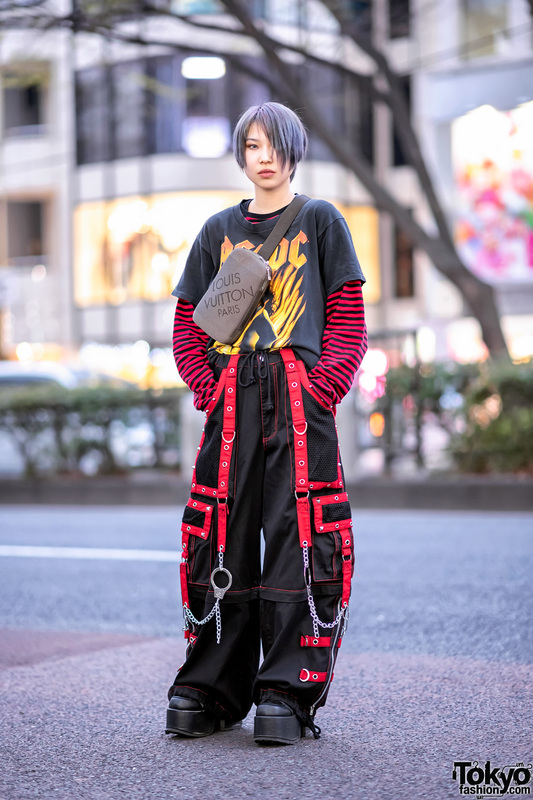 Her dark look includes an oversized net black top that she picked up at the Tokyo resale shop Flamingo with a long black skirt that she made herself, and rocking horse shoes from Trippen. 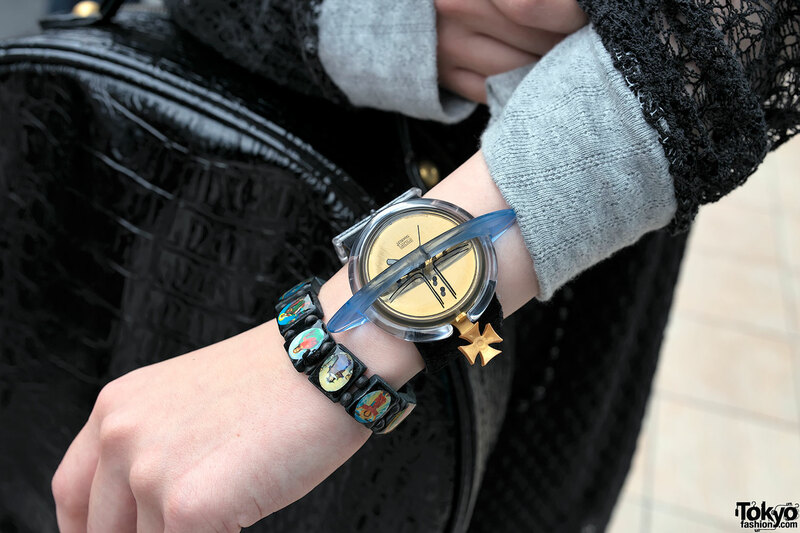 Accessories include a pretty black purse from the Japanese brand Chandeal, a Vivienne Westwood backpack, a black bead necklace, a saints necklace, and a Vivienne Westwood x Pop Swatch watch. 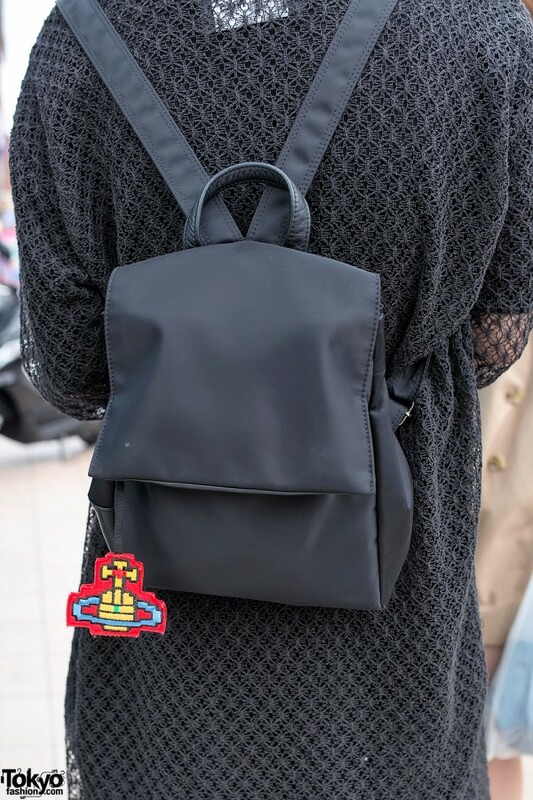 P-P told us that her favorite designer is Dame Vivienne Westwood. Great style, super sandals and stockings! Hope you bump into her again! !